The School’s library is well equipped with a good collection of books, journals, reprints, theses and dissertations. Digital library of the School and the free access of E-journals under the UGC-INFLIBNET programmeare also available through institutional network. 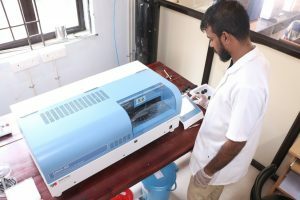 Collection: Major collection comprises of around 4500 books, current subscription to 50 periodicals, PhD theses and Dissertations submitted by the students of the School. The Library has access to 4000+ electronic journals and databases through the UGC Infonet Digital Library Consortium. It also has access to SciFinder, Web of Science, EBSCO databases. Working hours: 9am to 5pm on all working days. Membership: Students, Research Scholars and Teachers of the School. Integrated Library Management Software: The Library uses the library management software SOUL developed by the INFLIBNET Centre for all its housekeeping operations.The Digital Library of the School can be accessed in the University Intranet. The development of an Institutional Repository of the School is under preparation and the same is also available in the University Intranet. 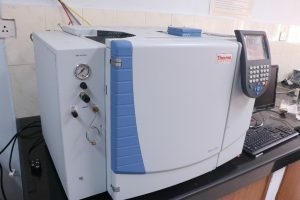 Cold Vapor Atomic Fluorescence Spectroscopy – Brooks Rand, model III. 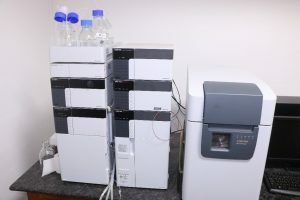 High -Performance Liquid Chromatography- Shimadzu Prominence UFLC, LC 20 AD. Mechanical Shaker – Scientific Equip. 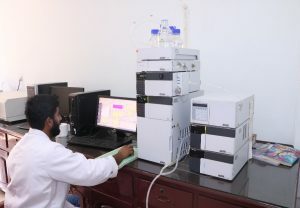 Corp.
Thermo Gravimetric Analyser – TA Instruments, SDT Q 600. 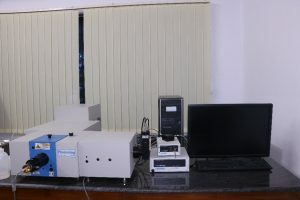 The Centralised Remote Sensing and GIS Facility in SES is the pioneering facility for RS and GIS in a University in Kerala established with technical and financial support from ISRO, Department of Space, Government of India in 2003. The Facility aims to give advanced research and corporate training, consultancy and complete location based solutions to the academic community, Government departments/local self-governments and students. 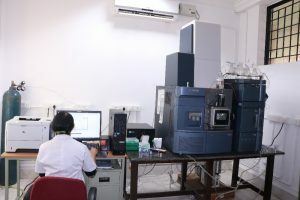 The facility is equipped with the State-of-the-Art software for GIS, Photogrammetry and Image Processing and equipments and peripherals including the powerful Graphic Workstations, PCs and Servers.